Do you dream of the day when you put bullet after bullet through one hole on a target at incredible distances? Most of us have a long way to go before we can reach the levels of our favorite competitive shooters. Don’t let that shake your confidence, though, even if the person next to you seems to out-shoot you frequently. Keep these tips in mind to keep your accuracy improving and your confidence unshaken. 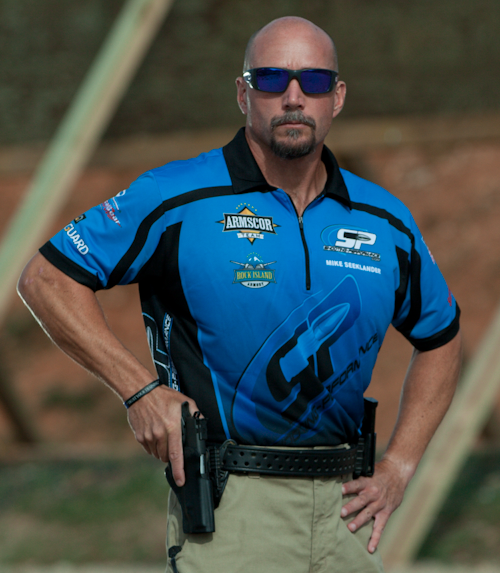 Las Vegas, NV (January 13, 2014) – Building on its popular video series “On the Range,” Armscor today announced that Mike Seeklander will star and provide insights and a comprehensive review of shooting fundamentals for shooting and self -defense enthusiasts. Pahrump, NV (October 15, 2013) – Armscor International sponsored, Eric Grauffel, JJ Racaza, Jethro Dionisio and Athena Lee continue to score wins in major competitions around the world. Grauffel, Racaza and Dionisio took home first place in their respective divisions at the Armscor International sponsored Bolo Cup held in the Philippines.